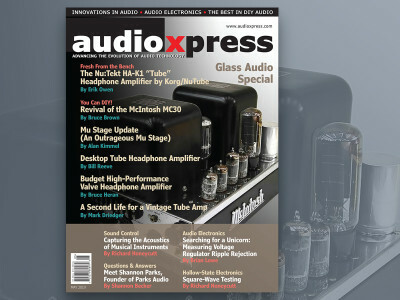 Get to the bench and take your copy of audioXpress March 2019 edition with you. It's Test and Measurement time. 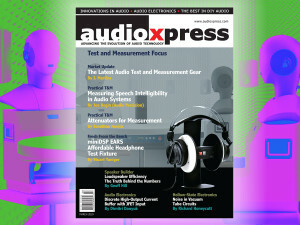 As a long-standing tradition and one of its most popular special editions, audioXpress' "Focus on Test and Measurement" edition includes an article assortment of great interest to both DIY enthusiasts and industry professionals who are looking to solve new measurement challenges. 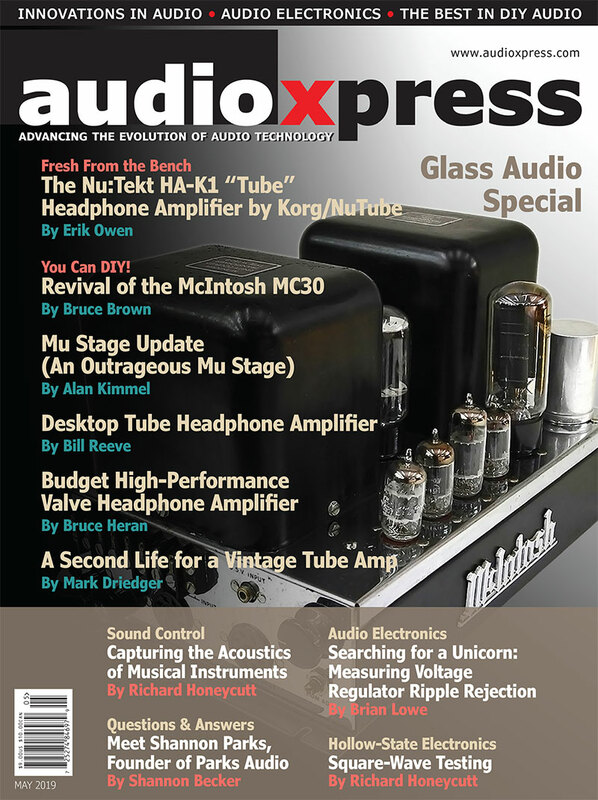 For this special edition of audioXpress, focusing on Test and Measurement, we compiled a Market Update highlighting some of the latest solutions now available to the audio industry, including updates to some of the most established toolkits as well as highlighting new solutions. 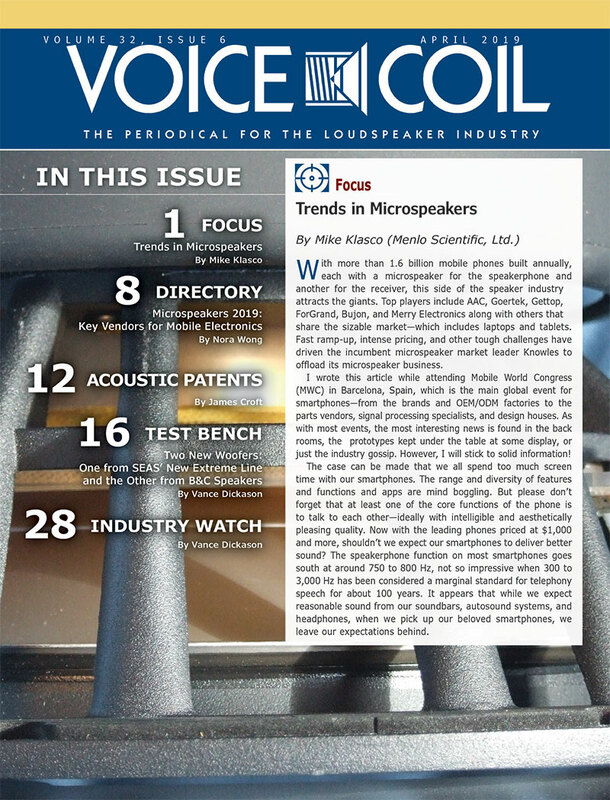 In "Exploring the Frontiers from R&D to QC," this Test and Measurement Market Update 2019 details the latest possibilities with Listen SoundCheck recent updates, as well as SoundChip's new Soundstation Array for hybrid noise cancelling headphone development. 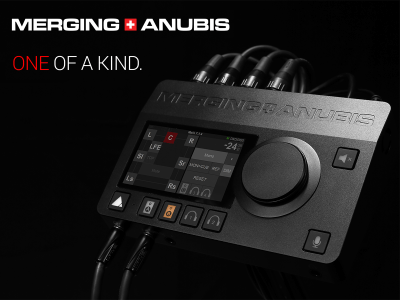 There's a detailed explanation of NTi Audio's new omnidirectional sound source and amplifier for insulation and acoustical measurements, as well as how to measure smart devices using NTi's Flexus FX100 Audio Analyzer. 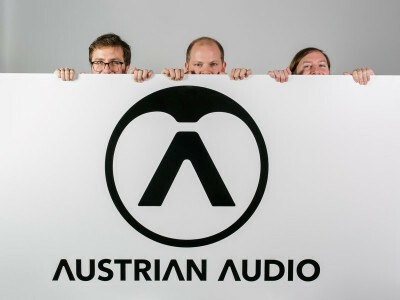 The market update also explains why all audio professionals should consider the new HQS-Audio solution from HEAD acoustics for testing of loudspeakers, headphones and audio systems in vehicles, and in particular its new HQS-AudioBasic package, specific for testing loudspeakers. There's also a fascinating report on how a Brüel & Kjær Head-and-Torso Simulator (HATS) was modeled with the latest COMSOL Multiphysics software and how GN Resound is using this simulated version to improve the development of hearing aids. 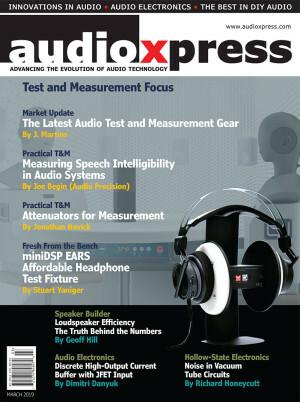 Turning your attention to more affordable and accessible systems, this extensive report explains what is possible with Dayton Audio's OmniMic V2 and DATS V2 computer based audio test and measurement systems, the new Clio 12 system from Audiomatica, and the RTX6001 audio analyzer powered by Virtins Technology Multi-Instrument. Finally, the Market Update explains all the new extensive possibilities of the Klippel Analyzer 3 System in multiple application domains. And this is just the warm-up! 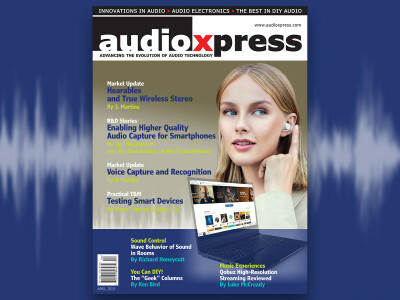 Stuart Yaniger explores the new Earphone Audio Response System or EARS, which miniDSP introduced as an affordable test jig for headphone measurements. Basically, this is a plug & play USB audio streaming device, featuring dual low noise calibrated mics with interchangeable silicon ears. But is it really the answer to bring "headphone measurements to the masses," as the manufacturer intended? Yaniger looks at what can be done with this apparatus, what the trade-offs are, and shares what he learned while attempting some actual measurements. 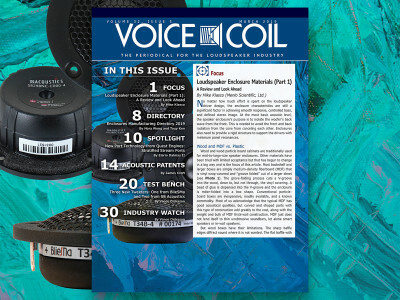 In a contributed article that I am certain many of our readers will appreciate while working on the development of voice-controlled products, Joe Begin, director of applications and technical support at Audio Precision, writes about speech intelligibility and examines the measurement methods currently available for this critical parameter. 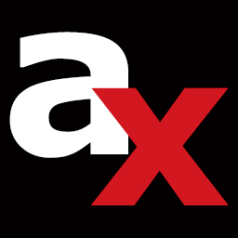 On another important topic for test and measurement, Jonathan Novick explains why the use of external attenuators are an effective and cost-effective way to measure signals above the maximum input voltage of an audio analyzer. In this article, Novick explains why but there needs to be some consideration of the topologies and different attributes offered by such components for audio noise measurements. 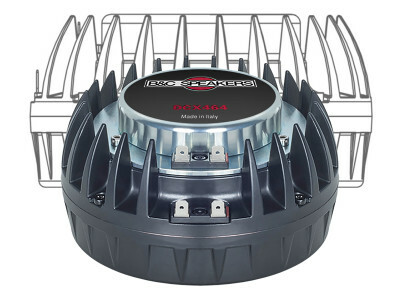 Writing about Loudspeaker Efficiency, Geoff Hill explains how total system efficiency should be the target, as the industry has been focusing on reducing the power wasted in the amplifier stage. 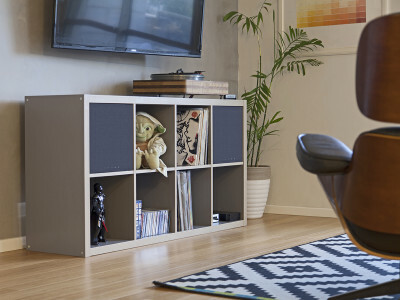 As Wolfgang Klippel recently stated, "There is no point in having 98% efficient Class D amplifiers if the loudspeaker is 0.007% efficient." Unfortunately, this is typical in a modern mobile phone and increasingly frequent as the industry focuses on doing more with less or smaller loudspeakers. 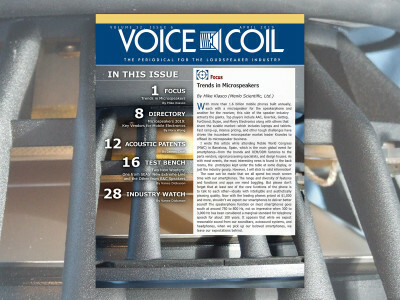 This edition also includes an important audio electronics article from Dimitri Danyuk, exploring ways to provide better isolation between input and output terminals and lower input noise current using complementary JFETs from Linear Integrated Systems. And Richard Honeycutt explores the causes for noise in vacuum tube circuits in his Hollow-State Electronics column.